Peggy Drexler is a research psychologist and the author of “Our Fathers, Ourselves: Daughters, Fathers, and the Changing American Family” and “Raising Boys Without Men.” She is currently at work on a book about the failings of feminism. The opinions expressed in this commentary are hers. (CNN) In a piece last week for The New York Times, political columnist David Brooks made an argument that should disturb women and the men who love them: that Democrats are undermining their party’s entire political agenda in order to demand the continued availability of late-term abortions. What David Brooks doesn’t quite seem to understand is why a woman might undergo a late-term abortion at all. Indeed, his “argument” leaves the impression that he believes that women get late-term abortions simply because they can. But Brooks was apparently misinformed. This is important, because what a man in his position of influence writes can have potential damaging consequences for real people. The truth is that most families seeking abortions after 20 weeks do so under quite tragic circumstances. I know this because I serve on the board of directors for Planned Parenthood, an organization that takes the time to understand when and why women seek out abortions. One real reason for abortion after 20 weeks: a doctor determines that the development of the fetus will endanger the mother’s life. Another is that a doctor determines that the fetus will be unable to survive outside the womb. Several fetal abnormalities only become apparent after the second trimester, an important fact conveniently left unnoted by Brooks. What’s more, families who opt to abort do so under the advisement of a qualified health care professional (which, it should be mentioned, David Brooks is not) and far more commonly at a hospital than at an abortion clinic. For many, it is a last resort that weighs heavily. 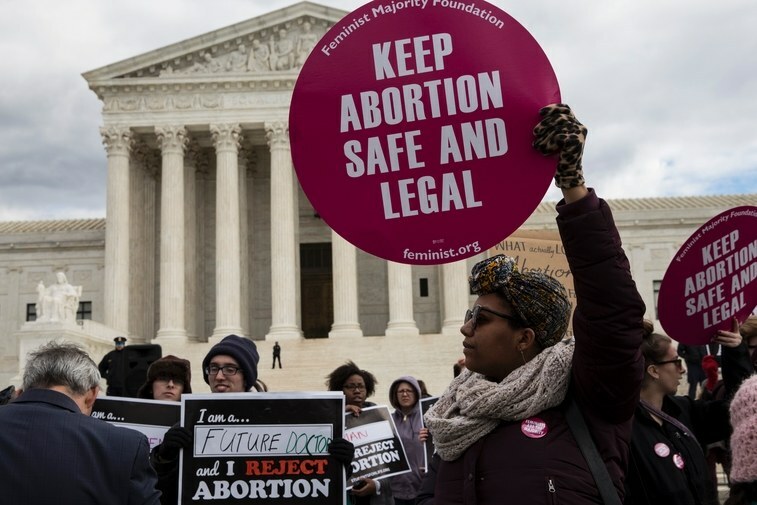 But even at that, later abortions are extremely rare: only slightly more than 1 percent of abortions are performed at 21 weeks or later, according to the Guttmacher Institute. By making the issue purely political, however, and suggesting access to late-term abortion be sacrificed for “the greater good” of progressive goals, Brooks makes no mention at all of these very important and relevant factors. He disregards the very humanity at the heart of the issue, the humanity that those against abortion claim they are fighting for — the very real emotions at the heart of any family’s decision to carry a baby to term, or not. Beyond that, he makes a mockery of journalism. He does not bother to include mention of discussions he’s had with women who have had abortions at 20 weeks (because surely he has talked to some women, right?). In this omission, Brooks presents an irresponsibly one-sided view of a very serious topic, even as he frames the column as delivered through the voice of logical liberalism. Did he ask women why they had a late-term abortion, and how it made them feel? Instead, he offers: “Do we want [late-term abortion] so much that we see our agendas on poverty, immigration, income equality and racial justice thwarted and defeated?” asks his imaginary Democratic consultant. This is a ludicrously false choice. Brooks is apparently arguing that conservatives are able to draw off voters, particularly young ones, over the issue of abortion — that millennial voters indicated in a poll that they are becoming less accepting of late-term abortions. But why would he promote the mistaken idea — to millennials and others — that women should have to choose, as he proposes, between either bodily autonomy or income equality? Both issues are important. Neither is dispensable. And this is no time to back down. David Brooks has a vast audience and his words have the potential to influence many Americans, including those in the halls of power. He abuses this position when he cynically reduces this issue to politics, not people. In doing so, he is dishonest about the true nature of this abortion question: the fact that measures to prevent women from controlling their own bodies are, among other things, most hurtful to poor women, immigrant women and women of color; that women already have difficulty navigating the barriers politicians put between them and their right to safe and legal abortion. Abortion is not a bargaining chip. A woman’s right to make the decisions that are best for her body is not something to be traded away for “a win” that David Brooks’s faux consultant would deem more worthwhile. The NYT has gone off the deep end editorially. When you look at whom they’ve hired since Brooks, you can only shake your head and unsubscribe.